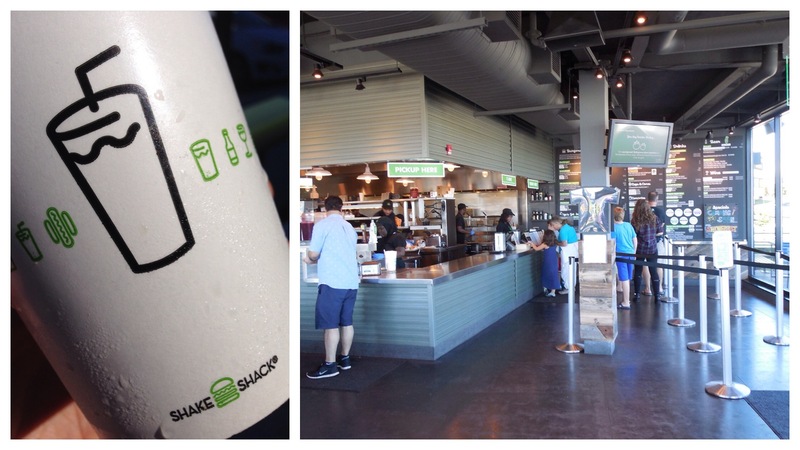 Shake Shack goes gourmet and rises the level of fast casual design! 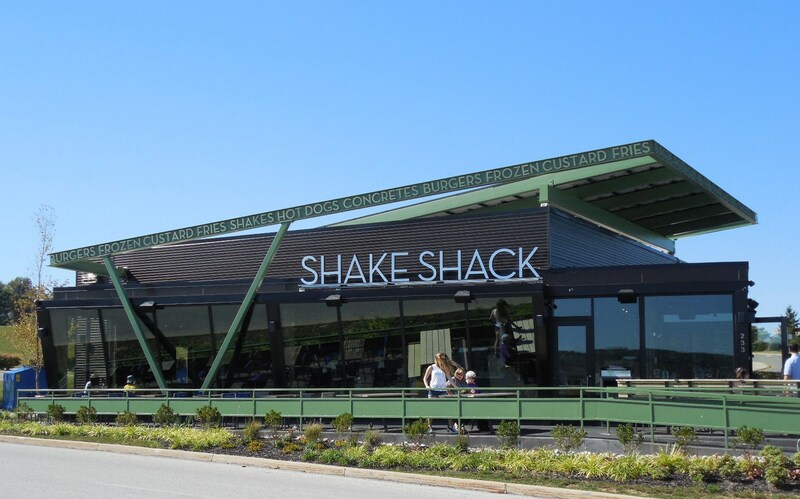 Shake Shack a gourmet burger chain which started in a vendor cart in 2001 has grown to 46 stores with a few international locations. The first restaurant, actually a kiosk, opened in Madison Square Park in 2004 and became a huge success with long lines. Designed by SITE Environmental Design the kiosk fit contextually into the park with a roof garden, exposed steel, industrial metal panels and rough-sawn wood planks. Branding and graphics were provided by Pentagram. Each of the new stores are individually designed to fit contextually into their neighborhood but with essential branding elements repeated to maintain the restaurants essential character. So how does a restaurant with 34 locations compete with the category killer such as McDonald’s with 34,000 restaurants? By not competing, but rather by segmenting the category. McDonald’s invented the fast food hamburger restaurant and then dominated the market by growing along with the nation’s highway system by providing consistently good food in a kid friendly clean environment. Over the next six decades the company kept tweaking the concept, in effect trying to be everything to everyone instead of doing a few things well. Meanwhile, the baby boomers are retiring; millennials are living in cities and fresh organic food is all the rage. The customer has changed but McDonald’s doesn’t seem to have noticed. The fast casual gourmet burger segment has been exploding with brands including Elevation Burger, Smashburger, and Five Guys. Theses start-ups differentiate themselves by utilizing organic, grass-fed beef, fresh hand cut fries and handmade real dairy shakes. These start-ups are focusing on the basics-burgers fries and shakes. What is McDonald’s focus? The restaurant that invented the category is losing ground, with over 180 menu items including breakfast, salads, and specialty coffee. Really, McDonald’s is trying to compete with Starbucks? As more competition comes on the market established chains are having trouble, McDonald’s has posted three-quarters of falling earnings as millennial’s gravitate toward competition that makes fresh bread such as Panera and high quality organic ingredients such as Chipotle. NPR posted a great piece on this topic. Bottom Line: Based on Twitter Shake Shack is actually more popular with 900 followers for every restaurant to McDonald’s 73 followers for every restaurant. Companies need to stay true to their brand, more and different is not necessarily better. As established brands drift, more nimble newcomers can take risks, innovate and out maneuver the legacy rivals.